“Blessed shall you be in the city, blessed shall you be in the field. The prediction of blessing for obedience to the commandments of God is followed by the Tochacha – the Admonition. In the Tochacha, the Torah describes, at length and in very harsh and frightening terms, the terrible punishments that await the Jewish people, as a people and as individuals, when they fail to obey the commandments of the Torah. The Tochacha speaks of warfare and slavery, disease and madness, famine and poverty, and every other form of human suffering. The concept of reward and punishment is made very graphically clear. Rabbi Samson Raphael Hirsch writes (Deuteronomy 28:1) that the Tochacha is intended to stress the responsibility of every individual for the spiritual welfare of the nation. For when the nation suffers for its general failings, every individual – even the most righteous – suffers with it. Although the subject matter of the Tochacha is very difficult for us, it also provides us with an essential key to understanding the events of Jewish history. The Jewish people have experienced great suffering over the millennia, despite consistently being morally superior to the surrounding peoples. This is the result of our special relationship with Hashem. Like any caring parent, God does not want His children to simply be superior to the surrounding environment, but that they should be truly good and righteous. Once we have absorbed the lessons of the Tochacha, the tragedies of Jewish history, while still tragic, are no longer mysteries. At first glance, the implication of this verse is that although the people were performing the mitzvos properly, their lack of joy in their service to God resulted in severe punishment. This is very surprising. While we can readily readily recognize the virtue of joy in the performance of the mitzvos, the lack of joy—by itself—would not seem to warrant such harsh punishment. 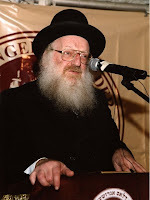 Rav Mattisyahu Salomon, the mashgiach of the Lakewood yeshiva, explains (מתנת חיים-מועדים עמ' קל"ה) that this is not the intent of the Torah. Certainly, the grave punishments of the Tochacha are reserved only for the complete failure to perform the mitzvot entirely. The intent of the verse here is simply to explain how it is possible that the Jewish people could ever fall to such a low level of Torah observance. The Torah teaches us that this can only happen if, even when the Jewish people were observing the mitzvot, their observance was joyless. Only then could they come eventually to abandon the mitzvot entirely. This teaches us a very important lesson. If one does not find joy in Torah and mitzvot, this is a clear indication that his Torah and mitzvot are flawed in some significant way. Perhaps he doesn’t properly appreciate the significance of mitzvot. Or perhaps he is performing the mitzvot incorrectly. A dry and mechanical observance of the mitzvot will quickly lose its appeal. We are required to find a way to serve God with joy. Whenever we encounter an obligation that touches upon our inner feelings, people will often ask how can God command us to feel a certain way? We often hear people say, "I can't help how I feel! ", as if our feelings are not subject to our control, and, in fact, there is a significant degree of truth to this. Exerting direct control over our feelings can be very difficult, and in many cases it is not possible, and attempting to do so can actually be harmful. But if this is true, then how can God demand from us that we control our emotions? For example, in our case, how can God require us to serve Him "with joy and a good heart"? The answer is that while our emotions may seem to arise as if of their own accord from our experiences, how we perceive our experiences has a profound impact on our feelings and emotions. The exact same experience can inspire very different feelings, even in the same person, depending on how the person interprets or perceives the experience. I remember once, as a child (I was probably about 9 years old), I was walking with some friends in our neighborhood and we encountered an older boy. He was probably only about 13 years old, but to us he seemed like a really big boy, almost an adult. He came over to us and starting asking us impolite questions, and making faces at us, and generally being rude. So we were rude back, and he started to run after us, and we ran away, and we called him names, etc. While this was going on we ran into an adult we knew, and we told him, "That boy is being mean to us!" He looked at the boy and, to our surprise, he became visibly upset, at us! He explained to us that this boy had not been making fun of us, he was mentally disabled and he was just being friendly. I still remember how this one piece of information hit me like a wave of ice water. Suddenly, in the place of my sense of justified anger, I felt guilt and shame. I looked at the boy, and now I could see it too, that he was just being nice and how confused and hurt he was by our behavior. Even today, more than thirty years later, I feel guilty when I think about this incident. Ultimately, all of our emotions are rooted in how we perceive the world around us, and if our perception of the world is erroneous, then our feelings will reflect that error. It precisely in this manner that we are required to control our emotions, not by simply repressing our feelings, but by bringing our mental picture of the world into congruence with the ultimate truth revealed in the Torah. Imagine the owner of a small store, living in an urban neighborhood. Everyday he struggles to keep his business functioning, so that he can bring home enough money to pay the bills. Then one day, the door opens and in walks one of the local mobsters, followed by two huge thugs. "Nice store you have here, bud," he says with a grin, "wouldn't want to see anything happen to it." The two thugs chuckle, as a chill runs down the store-owner's back. "Tell you what," the mobster continues, "we have a service for guys like you. All you gotta do is pay a monthly fee, and we guarantee that nothing happens to your place of business. It's like insurance. You interested?" The storeowner knows exactly what is happening, and he realizes that he has no choice but to agree. "How much?" "A special deal for you, just $10 a month," the mobster replies, "that's practically for free!" And so, every month, the store-owner hands over his $10 dollars. And even though it's just $10, every time he pays that money he is filled with anger and resentment. But he has no choice; the mobster is stronger than him and if he doesn't do what the mobster says, then the mobster will destroy everything he has. Now imagine, in a parallel universe, the same store-owner, and one day the door opens and in walks a fellow in a suit. "Hi," he says with a smile, "I don't know if you remember me, but I grew up in this neighborhood. You once helped me when I was a little kid and one of the bigger kids was bullying me. I have done very well for myself over the years, and I really want to show my gratitude to you, and to the community as a whole that got me off to such a great start. I think your store could do very well with a proper capital investment, so I would like to become a silent partner in your business." The surprised store owner asks, "How much money are you talking about?" and the fellow responds with a number well into the seven digits. "Don't worry," the fellow says, "your obligation to me will be minimal. I'm not really looking to make money off this, so all you have to do is send me a monthly payment of $10 a month." The fellow then writes out a check, hands it to the store-owner, and walks out the door. And so, every month, the store-owner pays his ten dollars to his benefactor, and the every time he wonders how such a minuscule payment can possibly be sufficient. Surely he ought to be doing more, but the "investor" won't hear of it. There are two ways that we can view our obligation to obey God's commandment. I can look at all that I have: my life, my wife, my children, my home, my job, my cars, my bank accounts, my intelligence, my health, etc. and I can say, "These are mine! But God says that if I don't do what He says, He will destroy it all!" So I obey, because God is stronger than me, and I am afraid. Yet, every time I obey God's command, I resent it. Or I can recognize the truth, that everything that I have in life was given to me by God. I had no prior claim on anything before He gave it to me; I didn't even exist! God owed me nothing, yet He gave all of this to me, even though I had done absolutely nothing to earn it. And now God tells me that there are some things that He expects from me. There are a some rules and regulations that apply to all of these gifts that he has given me. When one looks at the world with this perspective, it is impossible not to see the mitzvos as the ultimate bargain. How can you not serve God with joy, when you realize that all God wants in exchange for all that He has given us is that we follow a few rules? The sad reality is that it is all too easy to forget the true nature of the world, and to see God as if He is interfering in our lives. Much of the daily prayer service is intended precisely to help us keep the true perspective clear in our minds. As we see from the Tochacha, this task is of central importance. A Judaism without joy is a Judaism that is doomed to failure, if not in one generation, then the next. 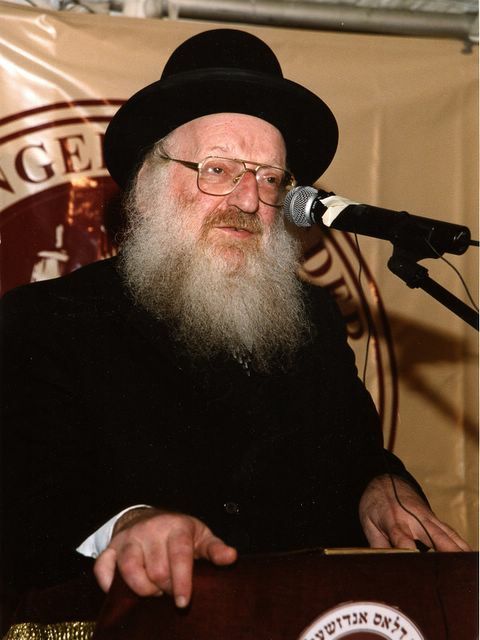 Rav Moshe Feinstein would frequently say, "People destroyed their children by always repeating es iz shver tzu zien a Yid (it is hard to be a Jew). No – it is not hard to be a Jew. It is beautiful and joyous to be a Jew." (Reb Moshe p.73) If we truly appreciate the privilege of Torah and mitzvos, then we will always be filled with joy and happiness that we are Jews.